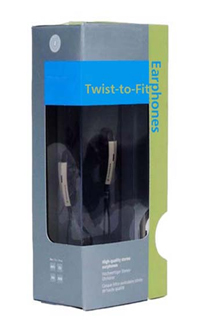 The stereo earphones Style feature a securing system. A small "stopper" holds the earphones securely to the outer ear, while rubber pads ensure a comfortable and ergonomic fit. The sound quality is detailed, clear and transparent. 3: High-quality sound: Experience high-quality sound with these earbuds, which feature a specially-tuned damping system that ensures detailed sound reproduction.